MIE Solutions is leading provider of production control software for the entire manufacturing sector, MIE Solutions uses advanced technology to help businesses improve their manufacturing productivity and quality of their products. MIE Solutions also offers product training, full product support, and on-site product implementation. MIE Solutions partners with Workbooks to deliver world-class CRM and business applications to the mid-market, at an affordable price and with functionality that transforms business. MIE Solutions customer references have an aggregate content usefulness score of 4.7/5 based on 802 user ratings. MIE Solutions reviews and testimonials from 83 real customers and users. 2 companies using MIE Solutions share their challenges, decisions and results before, during and after implementing MIE Solutions software. 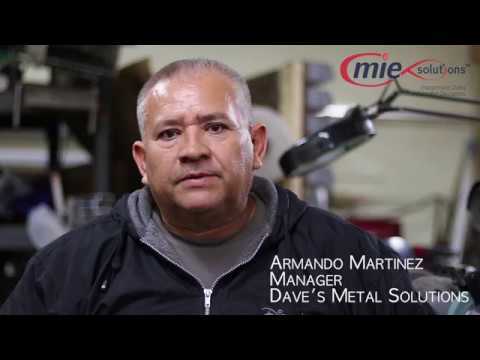 Watch and listen to 10 featured customer videos describing how they use MIE Solutions inside their companies. "I have been using this product for years. Thru those years, I have seen that MIE TRAK listens to its..."
I have been using this product for years. Thru those years, I have seen that MIE TRAK listens to its customers and makes improvements based on what will streamline the customer’s experience. MIE Trak Pro is an ERP offering that is ideal for manufacturing businesses with modules designed to accommodate most production cycles and optimize the capabilities of repetitive, custom, quick-turn and mixed mode operations. MIE Trak Pro streamlines the following features for maximum speed, efficiency, accuracy, and control, all in real-time: Accounting, Business Analytics, CRM, EDI, BOMs, Barcoding, Human Resources, Inventory Control, Invoicing, Quality Control & Inspection, Repair & Maintenance, RFQ/Quoting, Sales & Purchase Order Processing, Time Clock, and Work Order Scheduling & Reporting. The system also offers Kiosk Data Collection and Whiteboard Scheduling modules with drag-and-drop scheduling and contains customer and vendor centers and an executive management overview to ensure each user has access to real-time data updates. Which popular or common software does your product integrate with? 95 MIE Solutions Testimonials & Customer References from real MIE Solutions customers. Watch MIE Solutions Customer Videos, Testimonials & Customer References to decide if MIE Solutions has the right business software or service for your company. See which companies are customers of MIE Solutions. Read MIE Solutions frequently asked questions.